What’s the best way to choose a pediatrician for my child? Even before your child is born, it is important to have chosen a pediatrician to help make sure your child is growing and developing properly. However, finding a pediatrician can be a stressful process, and many parents wonder exactly what they should be looking for. One important aspect to consider is if the pediatrician is a fellow of the American Academy of Pediatrics (AAP), which means he or she is board certified and up to date with current medical knowledge. However, each pediatrician has a different personality and practice style, so it is important for you to find someone you and your child are comfortable with and can feel at ease discussing difficult issues. Make sure you have copies of your child’s medical records. These are important in order for your new doctor to know what your child needs to remain healthy. If your child has special needs or unusual health issues, a medical summary may be helpful as well. Many pediatricians can give recommendations and referrals if they know other pediatricians in your new area, so make sure to talk to them about where you are moving. If you are staying in the same area but are unhappy with your current pediatrician, ask friends and family. Find out what they are and aren’t happy with, and one of their doctors may be a good fit for your family. Many offices will allow you to set up an appointment to meet the physician before he or she begins to treat your child. Aside from these resources, the AAP’s website, www.healthychildren.org, has a “Find a Pediatrician” function that will provide you with the names of pediatricians in your area who are board certified. Many parents may have difficulty getting their child to the doctor during normal business hours. If this is a problem for you, look for a pediatrician with extended hours. At a minimum, it is important to for the practice to have a way to get in touch with someone for medical advice after hours. If you have teenagers, it is important that they feel comfortable talking to their pediatrician. Many pediatricians will ask the parent to step out of the room so they can talk confidentially with the adolescent. If your teen doesn’t feel comfortable talking to them about difficult issues, consider finding another pediatrician that does make your teen feel comfortable. Lee Beers, MD, is a general pediatrician at Children’s National and the Medical Director for Municipal and Regional Affairs at the Child Health Advocacy Institute. My wife and I are looking for a pediatrician to start visiting ever since moving, but we haven’t had any luck finding one yet. I like that you mention how many pediatricians can give recommendations and referrals to other ones in your area. We might have to give our last doctor a call to see if they would recommend anyone here. Thanks for sharing! Thanks for your comment Derek, and good luck finding a pediatrician! What is a School-Based Health Center? 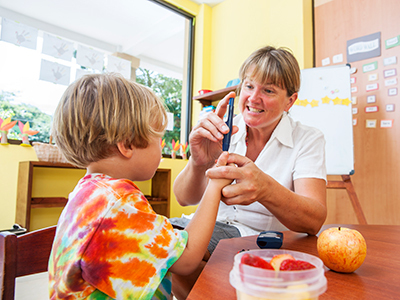 https://riseandshine.childrensnational.org/wp-content/uploads/2019/01/nurse-tests-boys-blood-sugar-at-school-feature.jpg 300 400 Rise and Shine https://riseandshine.childrensnational.org/wp-content/uploads/2017/11/childrens_riseandshine_logo.jpg Rise and Shine2019-02-04 07:00:442019-01-28 15:58:02What is a School-Based Health Center? 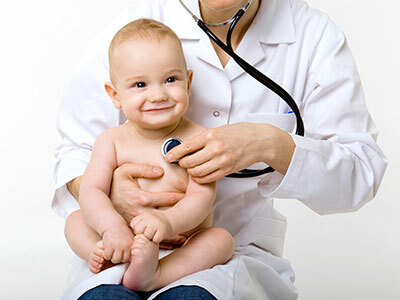 Q&A: What’s the best way to choose a pediatrician for my child? https://riseandshine.childrensnational.org/wp-content/uploads/2017/10/doctor-holding-baby-featured.jpg 300 400 Rise and Shine https://riseandshine.childrensnational.org/wp-content/uploads/2017/11/childrens_riseandshine_logo.jpg Rise and Shine2017-10-02 14:59:072018-04-10 11:55:33Q&A: What’s the best way to choose a pediatrician for my child?